Mario Herrero is Chief Research Scientist and Office of the Chief Executive Science Leader in CSIRO’s Agriculture Flagship. He has more than 20 years experience working on strategic agricultural R4D projects in Africa, Latin America, Asia and Europe. Before coming to Australia in February 2013, he spent 12 years in Kenya, leading the Sustainable Livestock Futures and Climate Change programmes and the Targeting Pro-Poor Interventions team at the International Livestock Research Institute. A known team player, with an extensive network of partners and donors, he works in the areas of agriculture, food security and global change, targeting agricultural investments in the developing world, sustainable development pathways for smallholder systems, ex-ante impact assessment, climate change (impacts, adaptation and mitigation), development of scenarios of livelihoods and nutrition futures, multi-scale integrated assessment, and others. He has coordinated several global and regional integrated assessments initiatives such as the African Livestock Futures Report for the Office of the UN Special Representative on Food Security, and the CGIAR global assessment of food production systems, ecosystems services and human well-being to 2030. 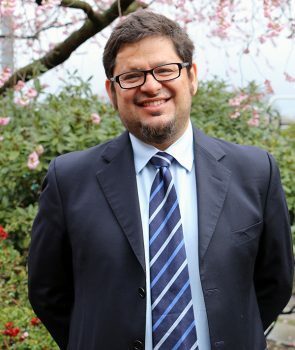 He has also contributed to numerous international assessments, and regularly participates in international committees such as IPCC’s Working Group 3 (Mitigation) and the IPCC Task Force on Greenhouse Gas Emissions, and has published more than 300 fully refereed papers, book chapters and reports in his areas of expertise.